Whether you’re a WordPress theme creator or just a consumer, it’s important to stay abreast of what’s going on in the wild world of WP theme development. 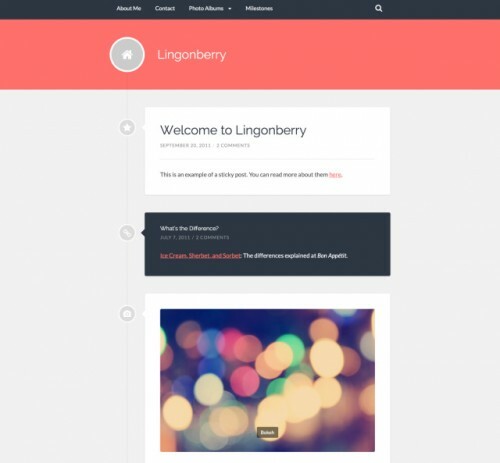 If your looking for some new themes for your next project, or even for upgrading your existing website. There are free and premium themes competing each other. Designers often go for a premium theme due to the availability of built-in functions and further support. Here, I’ve collected more than 10 awesome new free WordPress custom menu themes, from some of the web’s leading theme designers. Custom menus in WordPress may contain links to pages, categories, custom links or other content types. You can also specify a different navigation label for a menu item as well as assign other attributes. You are most welcome to suggest any additions to this list. You can use the comments box below to make any suggestions. 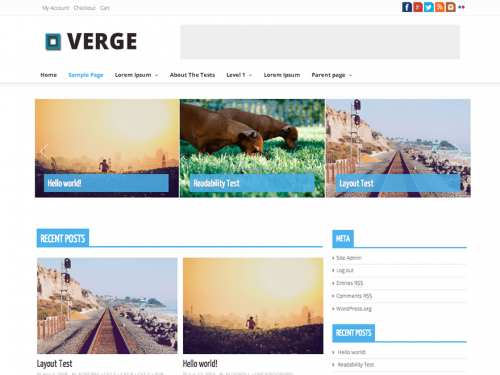 Verge is a High Quality, Fully Responsive, Woo Commerce Ready Magazine theme, bundled with amazing feature which makes it the right choice for you next blog. 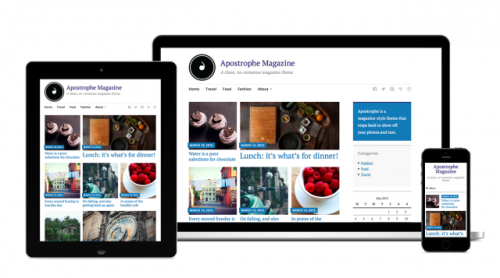 This theme has a beautiful carousel to showcase your featured articles. And the Shop pages have been entirely redesigned to give your digital store a very professional look. Gazette, a clean and flexible theme perfectly suited for minimalist magazine-style sites, personal blogs, or any content-rich site. It allows you to highlight specific articles on the homepage, and to balance readability with a powerful use of photography – all in a layout that works on any device. 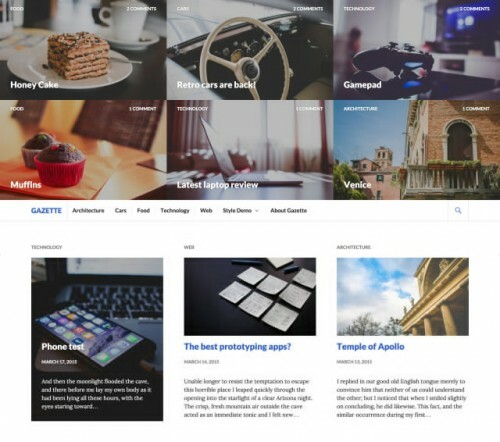 Gazette displays your posts’ Featured Images prominently in both the Featured Content area and above post and page titles in the normal layout, quickly grabbing your reader’s attention. 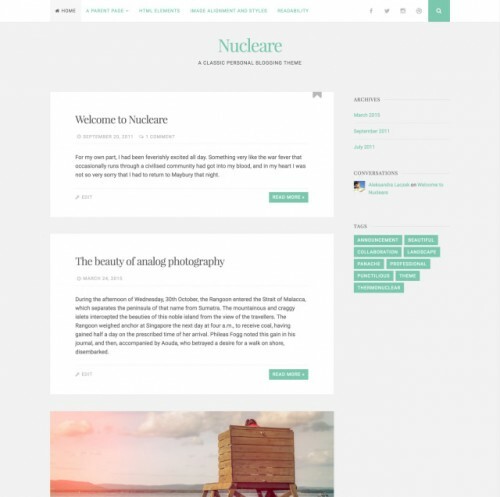 Nucleare is a classic blog theme with a crisp, elegant design and plenty of handy features. A built-in search box, links to your favorite social networks, four widget areas, and beautifully styled post formats make this an ideal theme for your personal blog. Nucleare includes a search box, opened by clicking the search icon in the upper-right corner of the header. 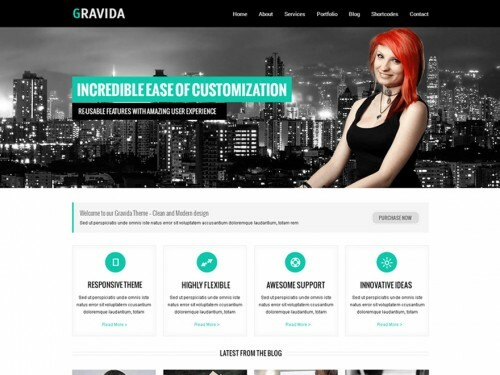 SKT Gravida as the name suggests is a corporate multipurpose WordPress theme. It is a responsive theme and is suitable for any kind of industry. So not just Corporate but other websites also can use it. 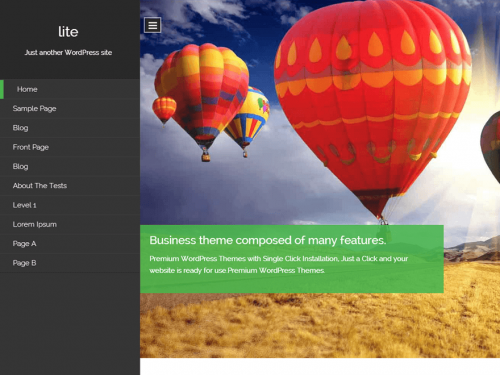 Theme options and templates make this theme very easy to use. Compatible with popular plugins like WooCommerce and Contact form 7. Slider and content portions easy to set up and use. Chicago is beautifully crafted WordPress theme for Blogger with flexible and customizable theme customizer options. It is based on responsive design where each element has been carefully configured for perfect display on all devices and platforms. It comes with a wide variety of options so you can modify layout, styling, colors, featured content, promotion headline, featured slider, pagination, icons, menus, breadcrumb, widgets and much more, directly from theme customizer. 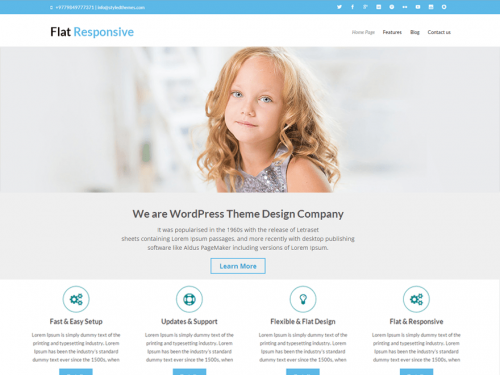 Flat Responsive is the one for you because of what this theme includes. You get responsive design, multiple blog layout options, retina ready graphics, several page templates, post formats, gorgeous typography elements, tons of widget positions, a custom child theme, WooCommerce support, Jetpack support, video tutorials, and more! Apostrophe is the theme for you. Simple and clean, Apostrophe shines in the little details: bold type, bright color, and big images. Apostrophe is a fully responsive magazine theme that’s a pleasure to read from any device. It offers clean, easy-to-read typography paired with a modern, minimalist design. Choose from a single-column layout, or make use of multiple sidebar and footer widget areas. 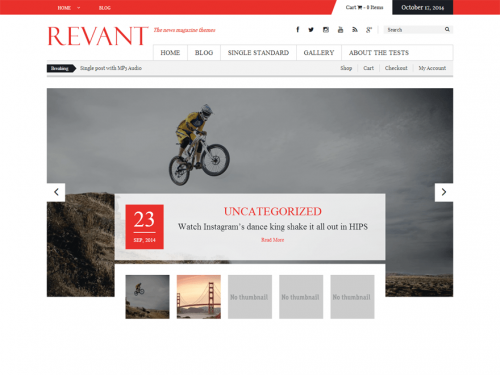 Revant theme is designed for magazine, news with flexible layout. The theme is based on KOPATHEME layout manager technique that will let you flexibility choose layout options of every pages within your site. It is very helpful when you are experimenting with visual hierarchy. You can define unlimited sidebar for widget areas, and with powerful custom widgets, the theme provides you more flexibility and ease-of-use for your site. The BlackWell for WordPress is simple and beautiful with lots of customization options that can tweaked by Theme Options Panel like logos, intro texts and background. BlackWell Theme supports five widgetized areas (two in the sidebar, three in the footer) and featured images (thumbnails for gallery posts and custom header images for posts and pages).